We are here for expert key cutting in Wolverhampton. When you need a spare set of keys the place to go to is Cummings Brothers Locksmiths. 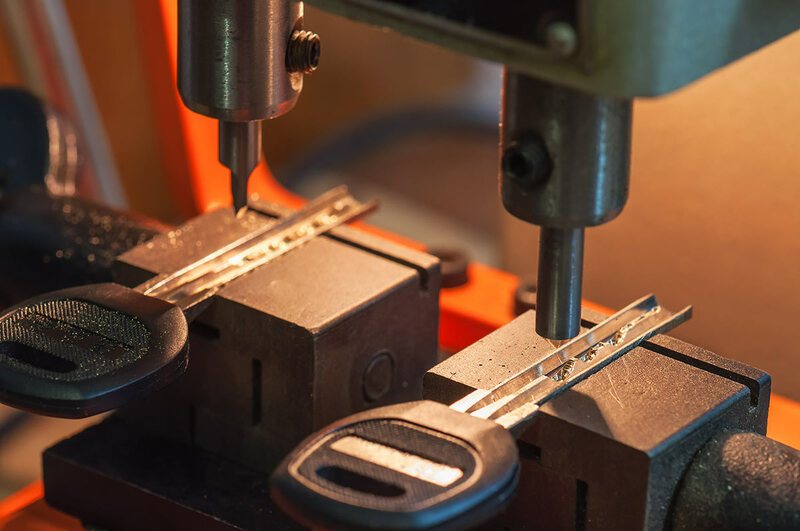 We have been established since 1973 giving us a vast range of experience when it comes to key cutting and duplication. Our shop is situated at 5, Merridale Road, Wolverhampton, WV3 9RX and our customers can benefit from a while you wait service. Call into our shop where you will be greeted by a friendly service. Owing to our long service within the industry we have built up a collection of machines which will cut and duplicate both old and new keys. Customers get the convenience of a while-you-wait service for most types of keys. We can cut from Mul-T-Lock, Yale, Chubb, Union, Era, Schlage and many more. We have free parking adjacent to the shop to make it easy for you to pop in and have keys cut while you wait. With this range we are confident that we will be able to cut the keys you bring in to our shop. If we can’t cut your keys in store, we can order what you require by the following day. When you choose Cummings Brothers Locksmiths you are choosing a locally based company with a trusted heritage as locksmiths. We will be happy to advise you on all aspects of key cutting.Contact us for any queries you may have about key cutting in Wolverhampton.